Today I’ll start with a classic… a 2500 year old classic! 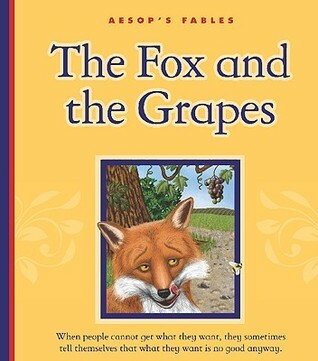 The fox in Aesop’s fable saw a bunch of grapes hanging just out of reach. He tried stretching up high, standing on tiptoe, and even taking a running jump, but he just couldn’t reach those grapes. Walking away, the fox told himself those grapes were probably sour anyway. When the girl goes to her Nanna’s and Grandpa’s house, Grandpa won’t let her in until she promises him that it’s Sweetpie, not that nasty Sourpuss. But she just can’t help it, sometimes Sweetiepie turns into Sourpuss, and sometimes she can be both at the same time. This is a unique book about colors, not lemons. It uses cut-out shapes to show the reader the color of the item on the next page. 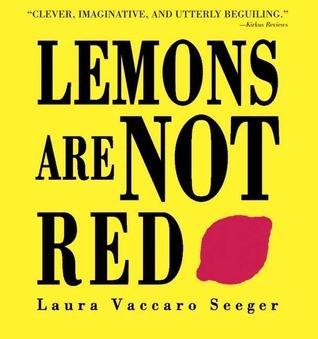 In the case of the titled lemon, the reader turns the page to learn that lemons are yellow and apples are red. 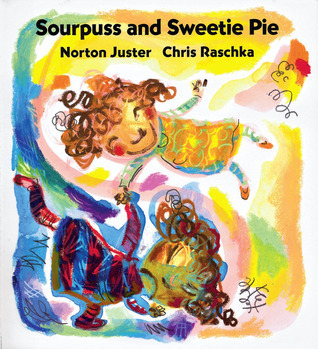 So, in not really fitting with today’s theme of ‘sour’, this picture book won’t give you a lemon sour face while you’re reading it!